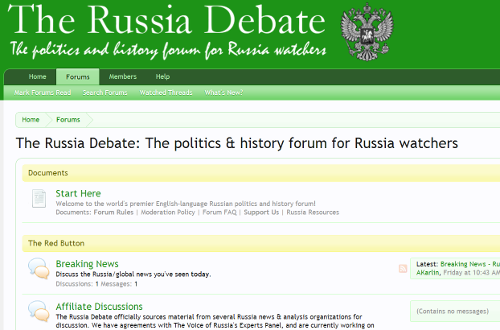 I submit that the Russia watching community has no shortage of opinionated blogs, mercenary “information projects,” and warring factions of “CIA jackals” and “Kremlin bots.” What it greatly lacks, however, is a neutral, well-moderated meeting ground where a diversity of voices could engage in free and vigorous debates about all aspects of Russian politics, economics, and history. 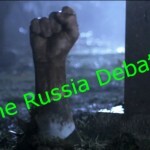 In other words, it needs a forum, and as nobody else seems willing, I am happy to step step up to the plate with The Russia Debate. A $25 Amazon gift certificate. Five separate vouchers for a free copy – in print or digital – of my upcoming book THE DARK LORD OF THE KREMLIN (scheduled for publication this October). So, go ahead, check it out, create an account, and start populating the boards with your arguments and ideas. There are already ongoing active discussions about the Israeli strike on Syria and the May 6th rally. Looking forwards to seeing you there!